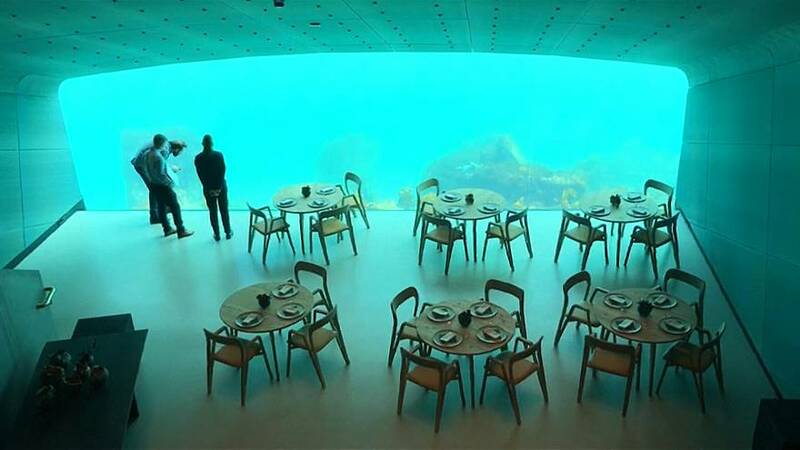 Europe's first underwater restaurant opened on Wednesday, with more than 7,000 diners already booked in to eat among the fishes – at a cost of €380 per head. Entering Under initially feels like going into a sauna, as wooden planks cover its upper section, but an eight-metre flight of stairs leads down to a large dining area that sits around 40 guests, walled by a gigantic window to the water. Snoehetta's founder Kjetil Traedal Thorsen said the construction can cope with very harsh weather and is shaped in such a way that it can withstand what he called "the wave of the century".